If you are searching for an ancestor who fought in World War One, the Red Cross Military Files are a valuable resource. 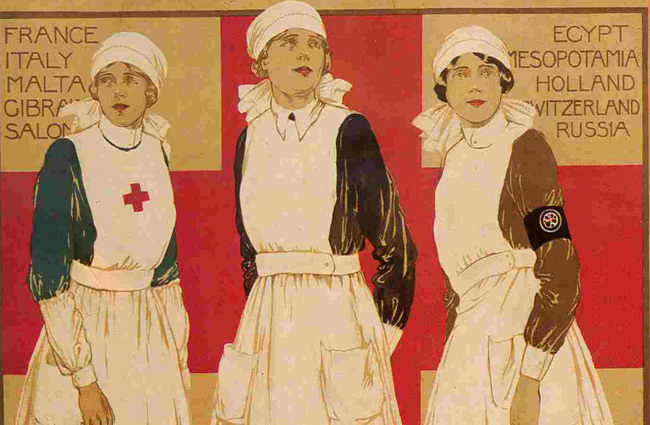 During the war the Red Cross provided vital services for prisoners of war, and wounded or missing soldiers. 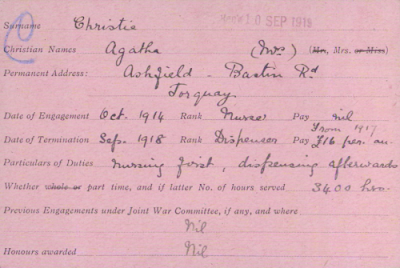 Hundreds of thousands of volunteers were engaged in the war effort under the Red Cross supervision and often this resulted in records being kept of the volunteers and soldiers. Not all Red Cross records in all countries have survived and in some countries the records were never made. However some countries’ files have been digitized and are available online. My February article for Legacy Family News will no doubt interest many genealogists. 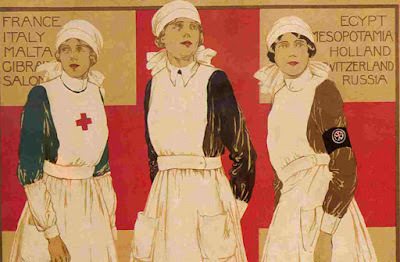 I have compiled a brief history of the Red Cross Military Files and provided links to any that survive for United States, Canada, Australia and Great Britain. Sounds like a good resource. Thanks for sharing (including Agatha Christie's record)! Noah Wyle on Who Do You Think You Are?